We can hardly believe the year 2014 is drawing to a close! What a great year for sewing – we’ve shared all kind of tips, tricks, tutorials and free projects with all of our fans this year. Now it’s time to take a look back to see which free projects and tips were the most popular this year. These are our top 10 tips and free projects that were most-viewed and most-pinned to Pinterest in 2014. #1. Our number one most viewed, most pinned, most popular free project is Rachel Howard’s pretty and simple-to-make duffle bag. 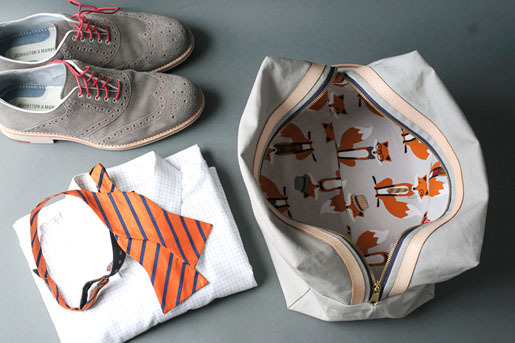 This duffle is the epitome of practicality wrapped in a stylish presentation. No more drab canvas. Combine roominess, pockets and a zipper closure with a bright print to turn this utilitarian bag into a designer one-of-a-kind. Go to the How To Make a Ruffle Duffle Bag tutorial here. #2. Pat Bravo’s simple technique for machine sewing hexagons creates a beautiful table table topper. Pat says, “Have you ever thought to applique them instead of sewing them together? Try my technique of sewing hexies entirely by machine – no hand basting or removing papers later! Two cardboard templates are all you need! Complete this tabletop with a very modern chevron quilting design… it’s so easy to do!” Find the Floral Geometry Table Topper tutorial here. #3. This practical travel bag combines simple construction with distinctive materials like canvas and leather, it’s bound to be an instant classic. Add an embroidered monogram to make it even more special. 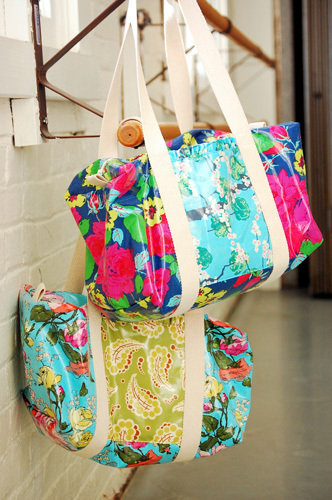 A fun novelty-print lining adds a bit of whimsy to every trip. Get Melissa Mortenson’s Zippered Travel Pouch tutorial here. #4. This quilt-a-long features a traditional Churn Dash quilt block using some short-cut techniques to speed up the process and with very little fabric waste. This is a classic quilt block with a huge potential for a variety of looks, depending on the colors and fabrics used, including a modern, updated version. 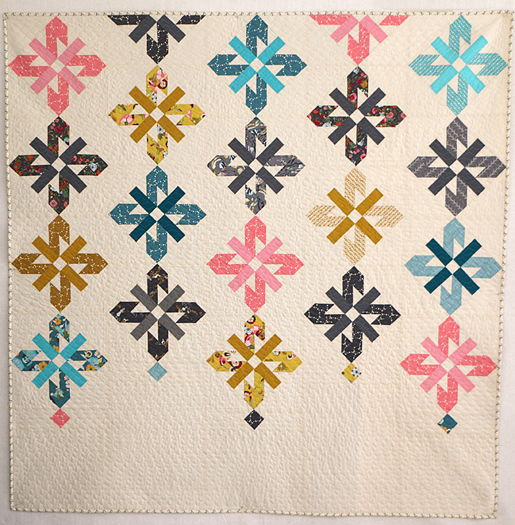 See Amy Smart’s Churn-Dash Quilt-along right here. #5. 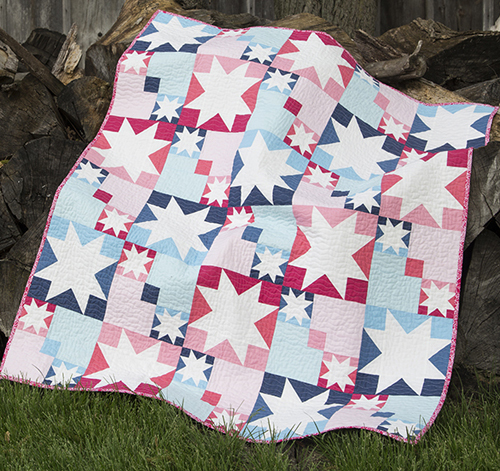 Another traditional quilt block made modern featuring two different sized Sawtooth Star blocks! Find Faith Jones’ Summer Sparkle Quilt-along here. #6. Keep your cool in the kitchen with this ever-practical oven glove that protects both hands! Get Stacy Schlyer’s Double Oven Mitts tutorial right here. #7. Who could resist this little guy? We think this cheery little elf is much cuter than the one who sits on shelves! 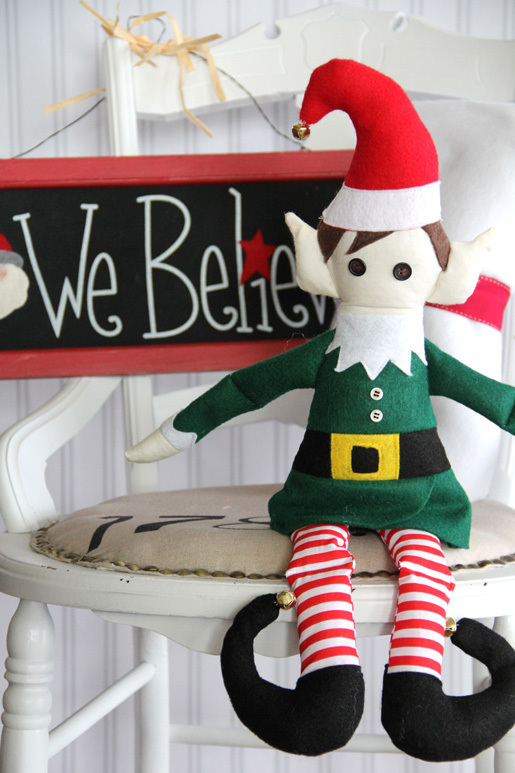 Prop this adorable Santa’s helper next to your sewing machine. If you’re lucky, he might even use a little magic to do some stitching while you sleep! Get the DIY Christmas Elf tutorial from Jessica Abbott. #8. 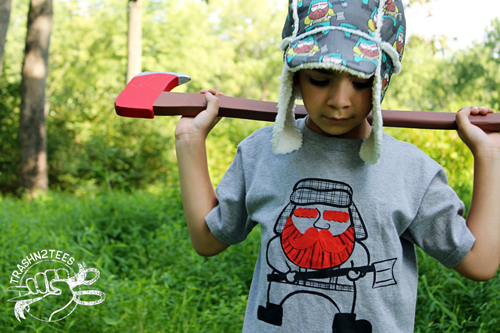 No lumberjack is complete without a hat! Jenelle Montilone’s pattern and tutorial fits most little-ones. Get the How to Make a Lumberjack Hat tutorial. #9. This sturdy wool bucket bag is the prefect accessory! The round shape provides a deceptively roomy interior, while the patchwork shell is canvas for showcasing your favorite fabrics. Make it scrappy for a casual, bohemian feel, or go with 2-3 solids for a more classic look. 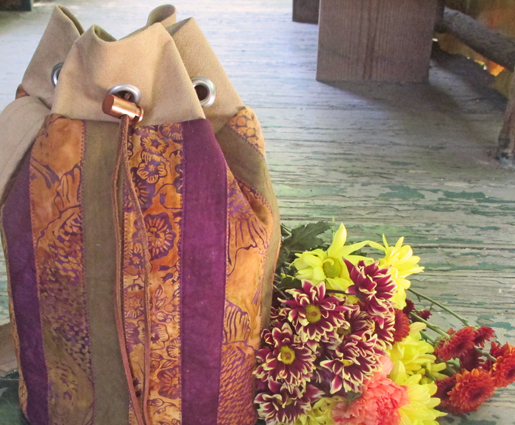 Learn How To Make a Bucket Bag here. #10. 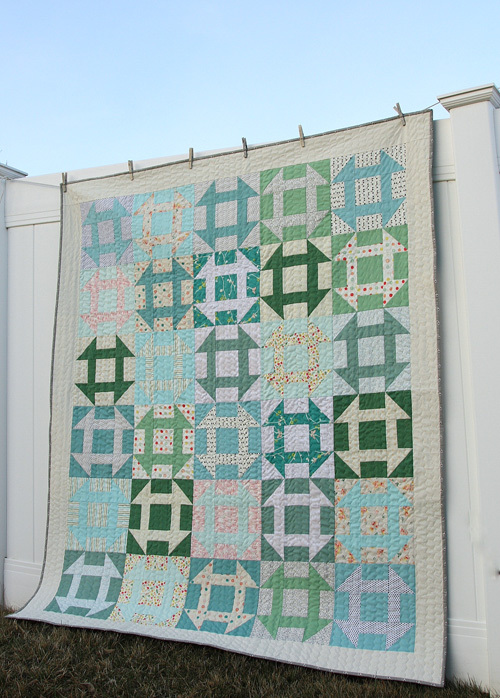 The last (but definitely not least) project in our top 10 is another quilt, this one designed by Lee Heinrich. The Chandelier Quilt uses the square-in-a-square structure to avoid setting the blocks on point, and our quilt-along includes some great tips. Go to the Chandelier Quilt-along. #1. By far our most popular, most viewed, most pinned tip is this simple technique for adding floating ric-rac trim to any project. 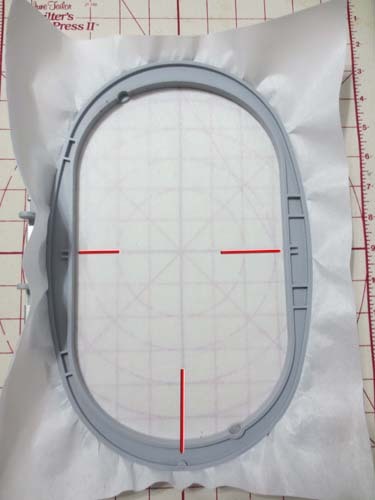 Go to the tip How to Sew Decorative “Floating” Rickrack Trim and Insertion here. #2. 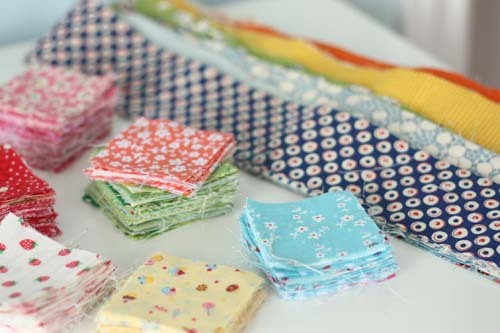 Amy Smart shared her top-tips for scrap busting your stash, and this post is one of our fan’s favorites! Click here to find 12 Ways to Bust Your Quilt Fabric Scrap Stash. #3. 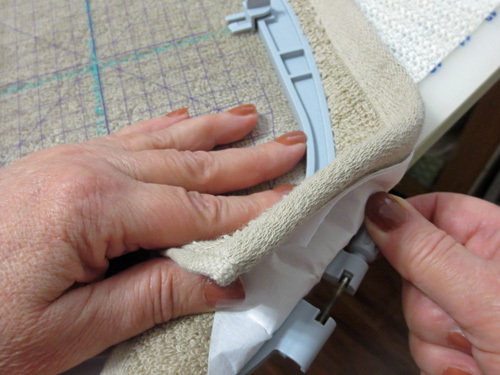 Lee Heinrich shows you how to stitch the quickest quilt hanging sleeve in the west! 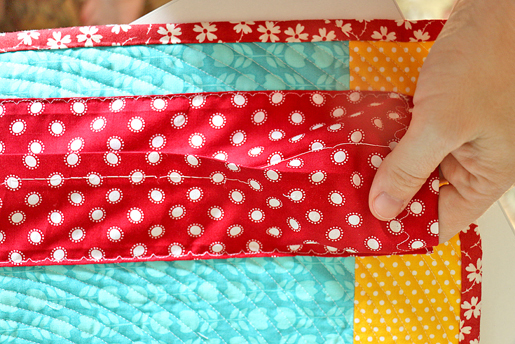 Get the Easy DIY Quilt Hanging Sleeve – Almost Entirely by Machine right here. #4. 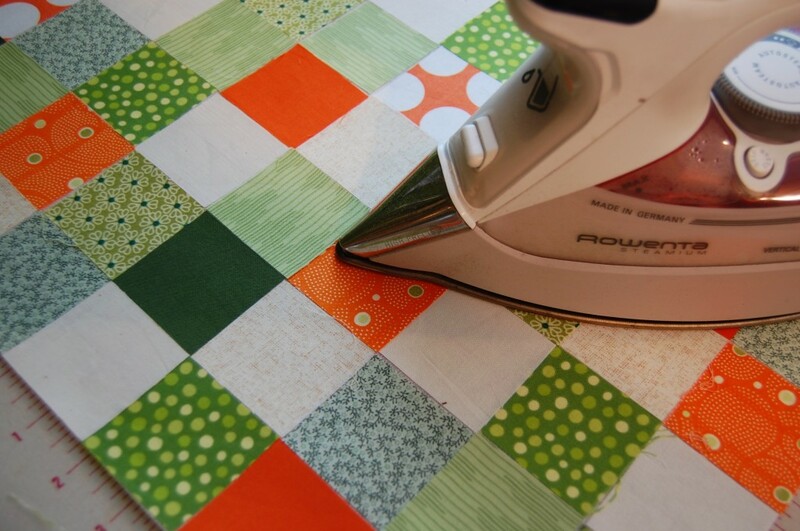 This simple tip allows small squares to be stitched in perfect patchwork. 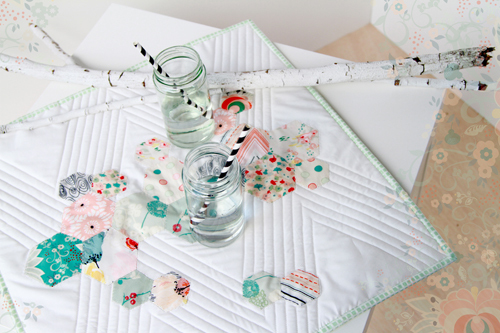 Learn How To Make Perfectly Pieced Tiny Squares here. #5. English Paper Piecing was popular in 2014! 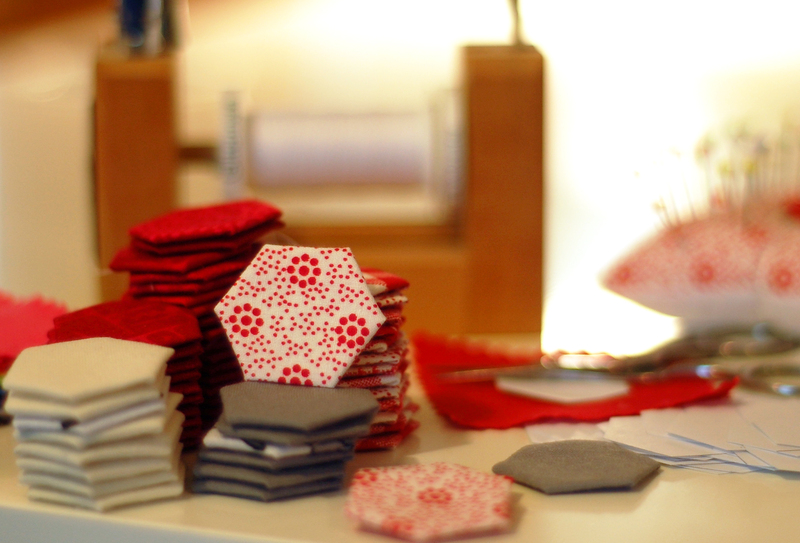 Get some great tips and ideas for stitching up EPP hexagons at our post here. #6. When piecing fabrics for making a quilt, nothing is more important than getting the PERFECT 1/4″ seam. 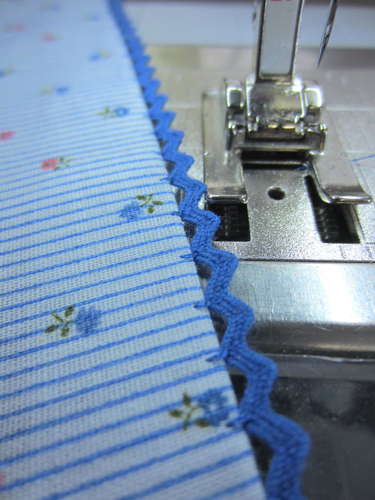 Learn about Quilting Basics: The Importance of a Perfect Quarter Inch Seam here. #7. This tip is from our BERNINA Ambassador Juliette Lanvers, and reminds us all how important it is to have your BERNINA regularly serviced. 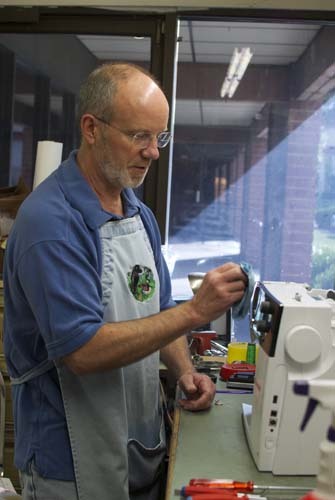 Read Do You Really Know Your Sewing Machine on the Inside? here! #8. 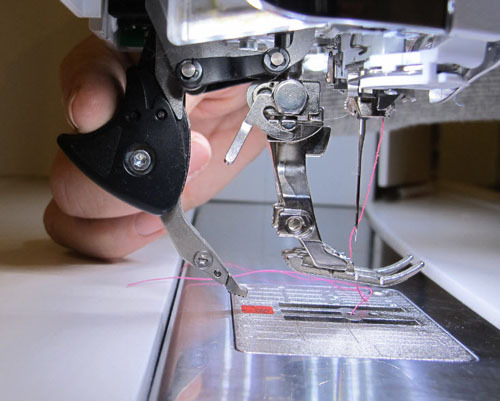 This machine embroidery hooping tip can help you perfectly align your project. Find the Embroidery Basics: Two Techniques for Aligning Centers in Hoopless Embroidery post here. #9. Another great machine embroidery post, Tips for Successful Embroidery on Towels: Free Video Tutorial. #10. 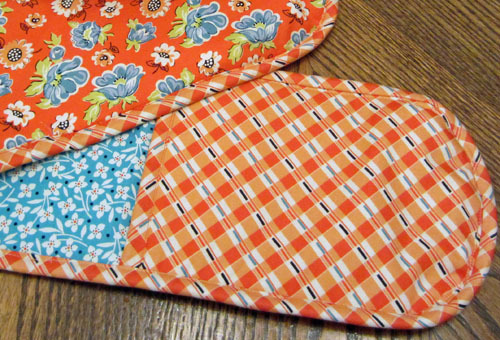 This creative tip shows you how to incorporate zippers into your quilted projects. 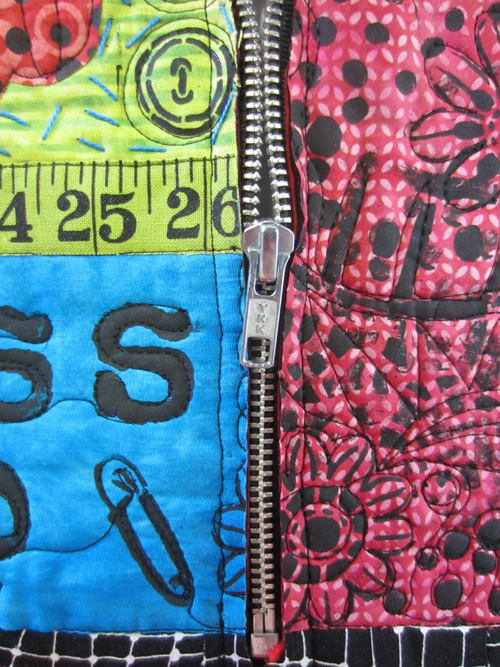 Read all about How to Use Zippers as Embellishments in Art Quilts here. We hope you’ve enjoyed our 2014 year in review, and we are looking forward to another great year of sewing tips, projects, and inspiration to share with you!